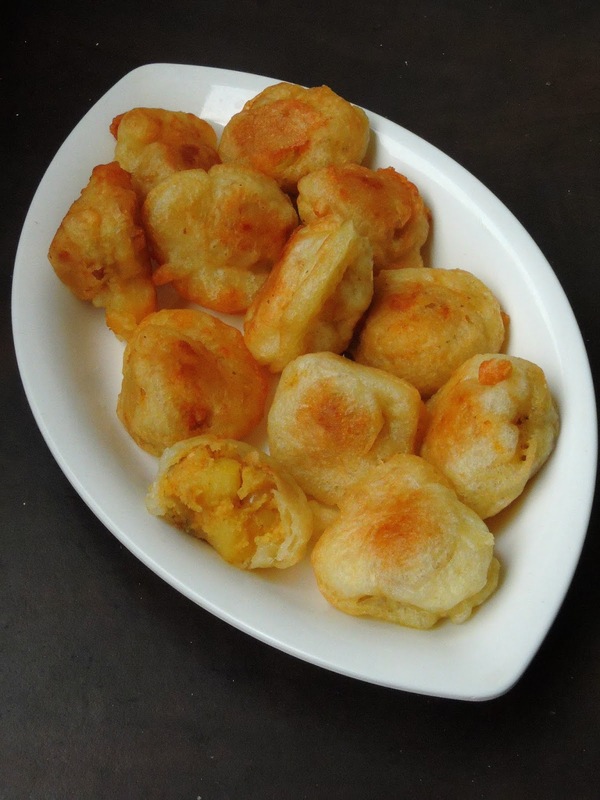 Am running this week's blogging marathon with 'Deep fried Love' as theme, and after posting a decadent donuts and crispy masal vada, here comes an another interesting deep fried beauties.Channa puri is considered as the Best street food of Mauritius island. 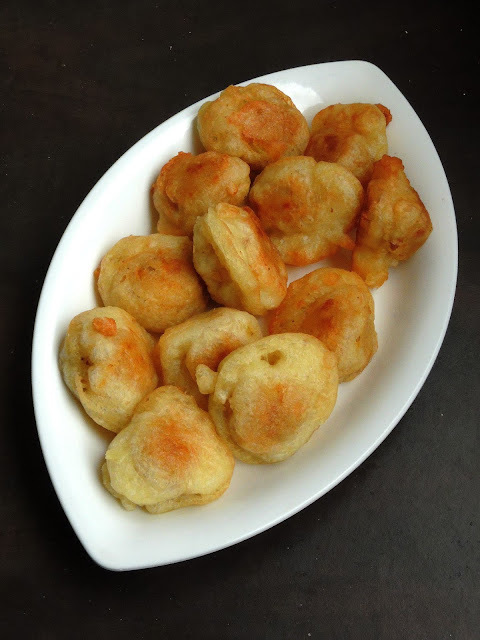 Excellent to munch while the weather is down, these channa puri are extremely delicious. As much as most of the street foods, this channa puri gets vanished very much easily and the locals just adore this deepfried beauties with chilly paste or rougaille, an another special Mauritian food. Most of the channa puris are prepared with a simple channadal stuffing, however you can make a channadal-potato stuffing for dishing out these cuties as well. 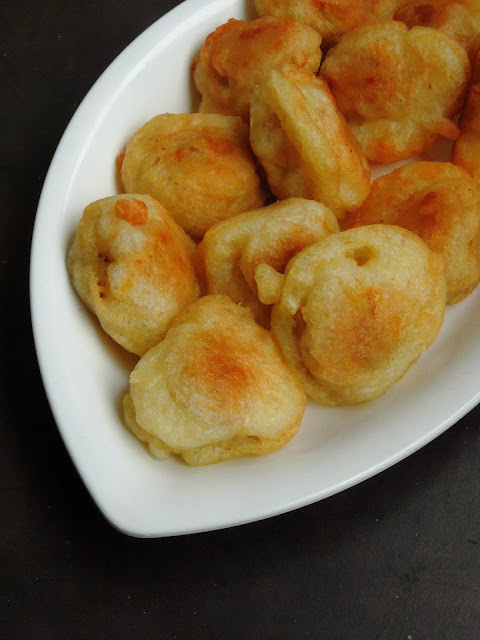 And mine is channadal- potato filled dumplings, which can be enjoyed hot with a cup of coffee or tea. In a bowl, take the flour, salt, instant yeast, slowly add the luke warm water and mix everything to make a thick batter. Cover the bowl with a kitchen towel or cling film and allow to rise for 2hours. Take the channadal in a pressure cooker and add enough water to cover. Close the lid of your pressure cooker for three whistles. Open the cooker, and strain the water from the channa dal. Heat oil in a pan over medium heat. Add the onions, and fry them until they turns transculent, add in the cumin powder and garam masala. Add the cooked dal, mashed potato and cook everything for a while, mash the dal while cooking. Put off the stove and let the dal mixture cool completely. Make small balls from the mixture. Once the batter gets doubled in volume, mix it well with your hands. Meanwhile heat enough oil for deep frying. Dip the dal balls one at a time into your batter. Coat well with the batter. Carefully take the coated ball out of the batter and drop them to hot oil. Fry until the dumplings turns golden brown. 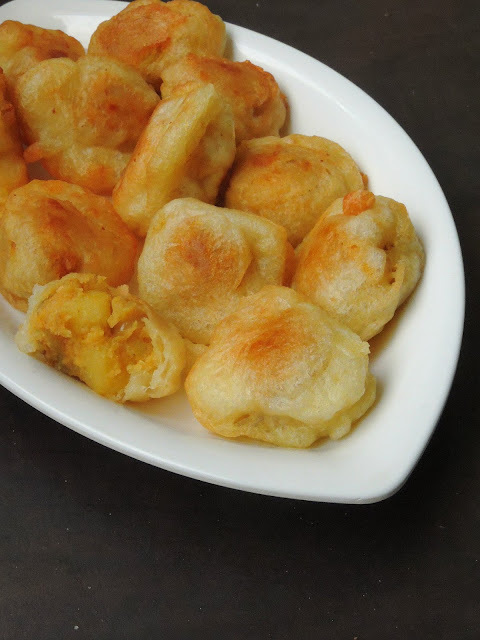 That is such an interesting stuffed puri/ dumpling recipe from Mauritius. Chana dal stuffing sounds delicious. Good one Priya. Very interesting recipe Priya, I really like the variation in your posts and how you come up with such interesting recipes!! These Pooris look very delicious, soft melt in mouth!! These remind of punukulu though these are savory. Such a nice treat from Mauritius and sounds so Indian. Those soft, puffed fritters look very tempting. The spicy stuffing sounds delicious. Such an interesting recipe. Love the spicy channa dal and potatoes stuffing so much. This would make a delicious evening snack. wow this almost sounds like our sweet version right Priya, awesome find and those deep fried ones look sinful!